In our earliest days, Australian coins could have referred to Silver 8-Reales from Spain, Portuguese-Brazilian Johannas or Indian Silver Rupees. Before Federation in 1901, a range of international coins were considered legal tender, testament to the melting pot of colonial life. But that all changed nearly ten years after federation, when Australia received its own national currency. We’ve seen tremendous change and development ever since – including a switch from predecimal pounds and pence to decimal currency in 1966. 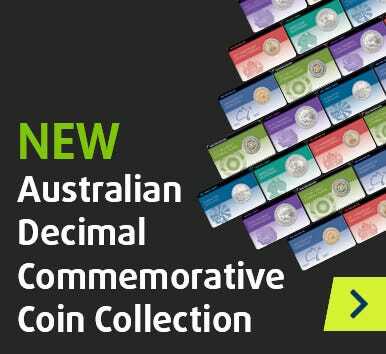 Whether it’s predecimal gems or the latest decimal currency, circulating or non-circulating Australian legal tender, our extensive range of Australian coins has you covered.